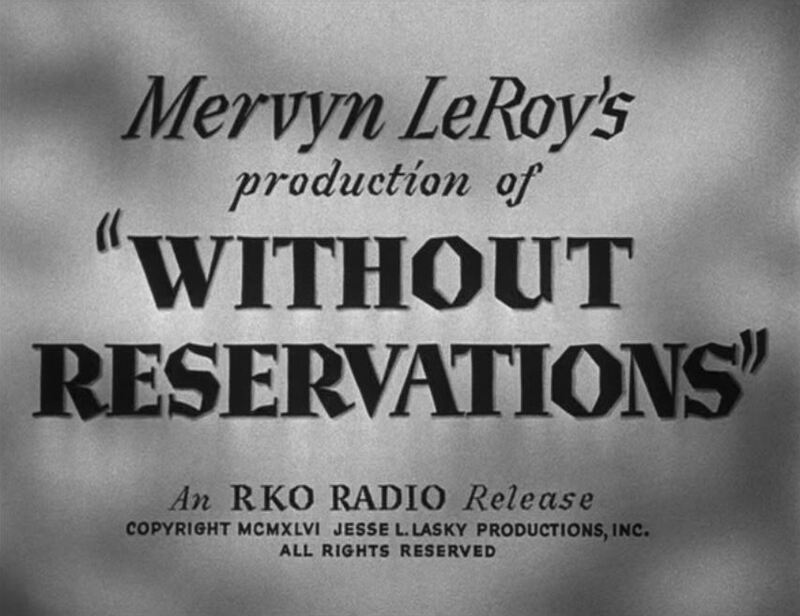 Without Reservations is a light-hearted, post-World War 2, cross-country journey from New York to Hollywood with the first 43 minutes of the picture taking place on various crowded passenger trains. 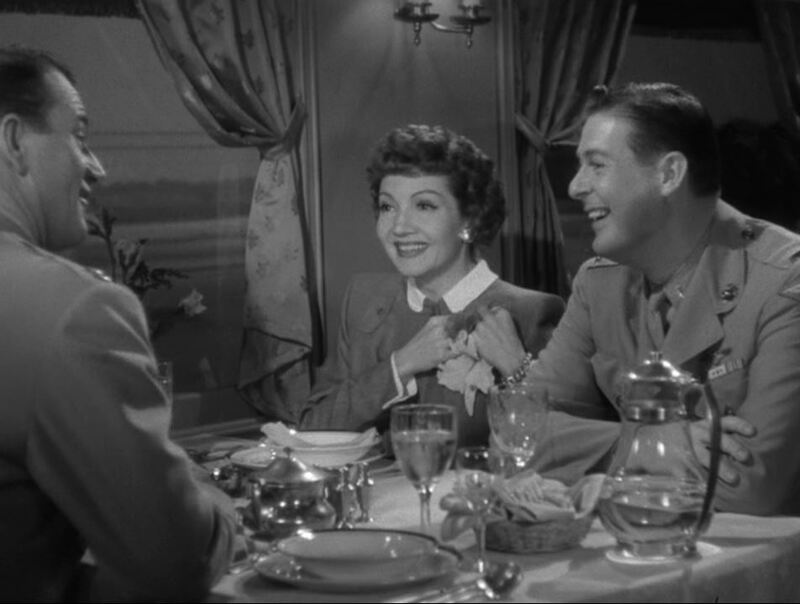 Claudette Colbert (as Christopher “Kit” Madden) is a best-selling novelist who meets John Wayne (as Marine Captain “Rusty”) and Don DeFore (as Marine Lieutenant “Dink”) as their New York Central train rolls westward. 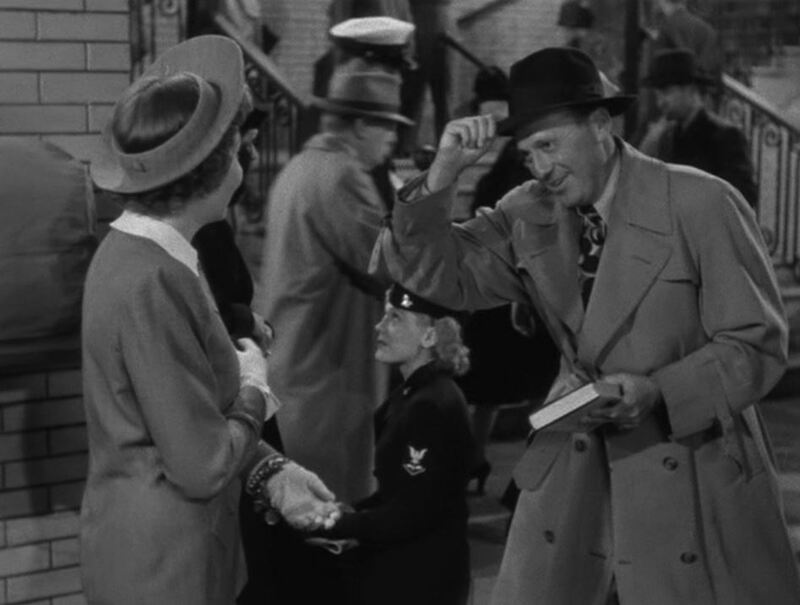 Kit’s widely-read novel “Here Is Tomorrow” is about to be made into a movie staring Cary Grant…except they can’t get Cary Grant! (He’s not available). 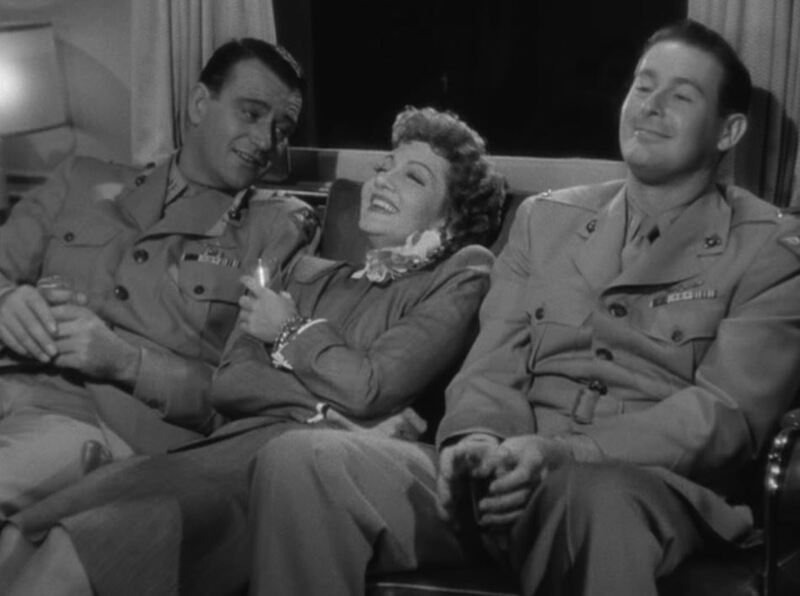 Kit thinks Rusty would make a perfect leading man in place of Grant and much hilarity, misunderstanding and even a kindled romance results. 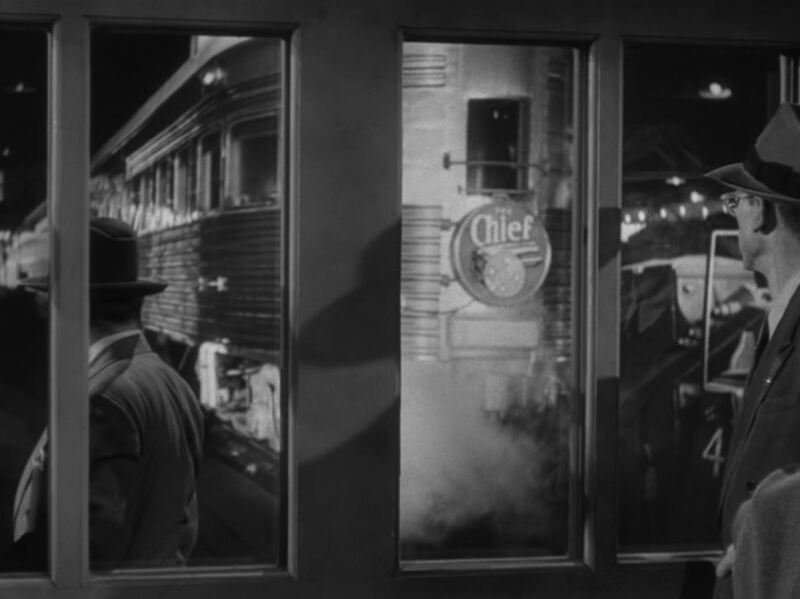 Let’s check out the railroad action in this tasty piece of Hollywood froth! 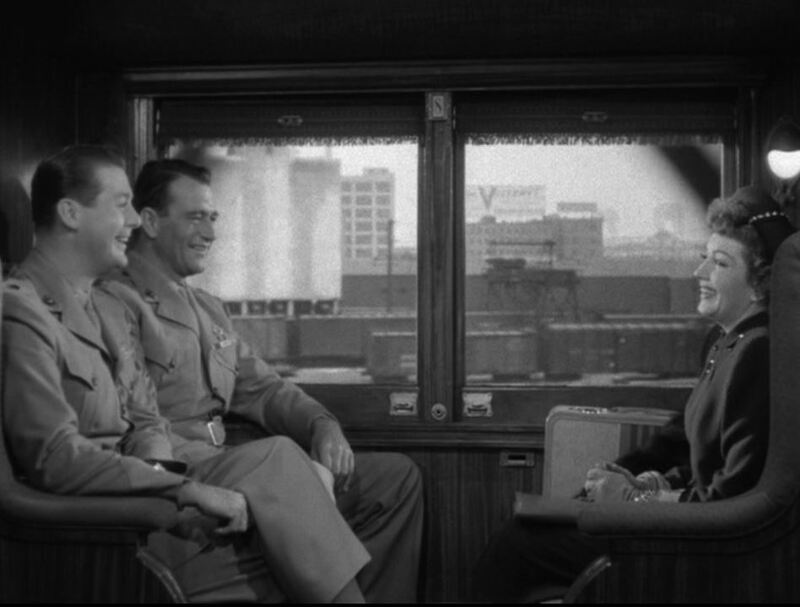 Defore, Wayne and Colbert in the lounge car heading upstream on a NYC train along the Hudson River. 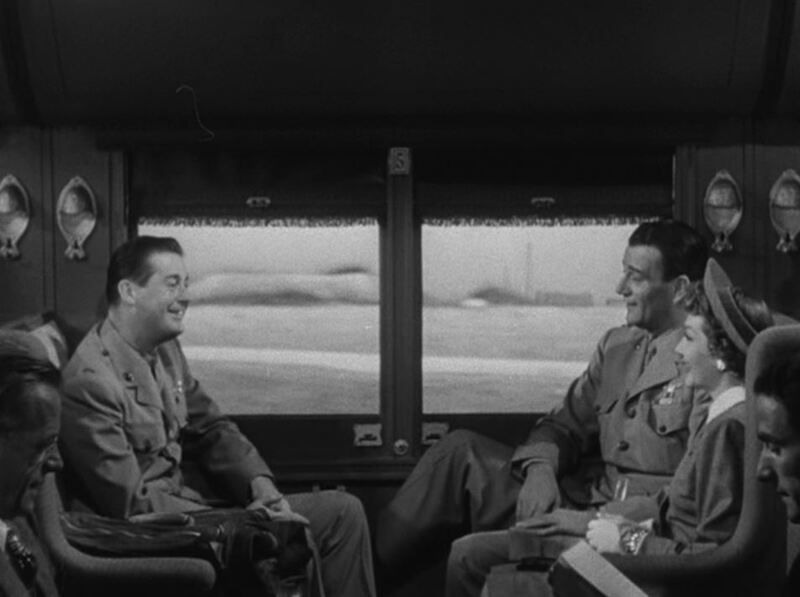 Escorted by her publicists onto her New York Central train at Grand Central Station, they pass by Pullman sleeper “Iroquois”; Kit sees a WAC lieutenant across the aisle reading her book – we get a clear look at the cover. 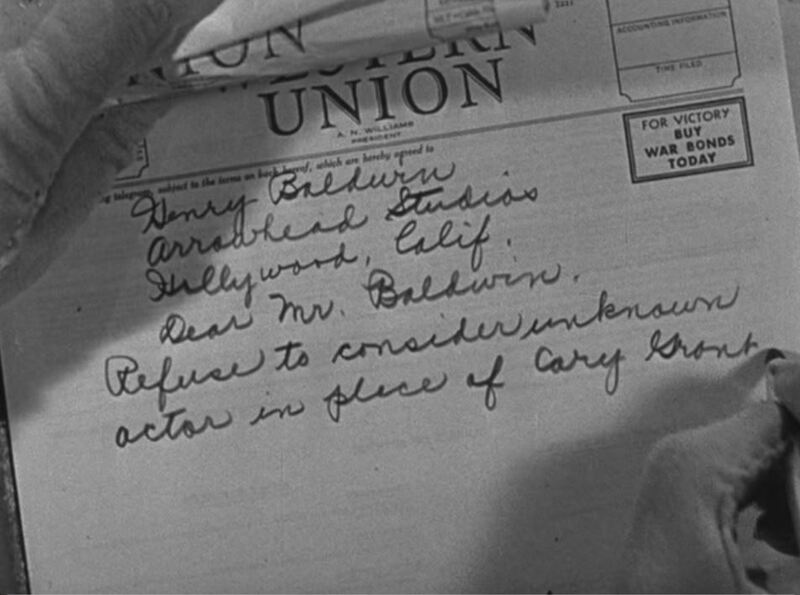 Kit fires off a telegram to “Arrowhead Studios” insisting on getting Cary Grant; that is until she meets up with Rusty and Dink! 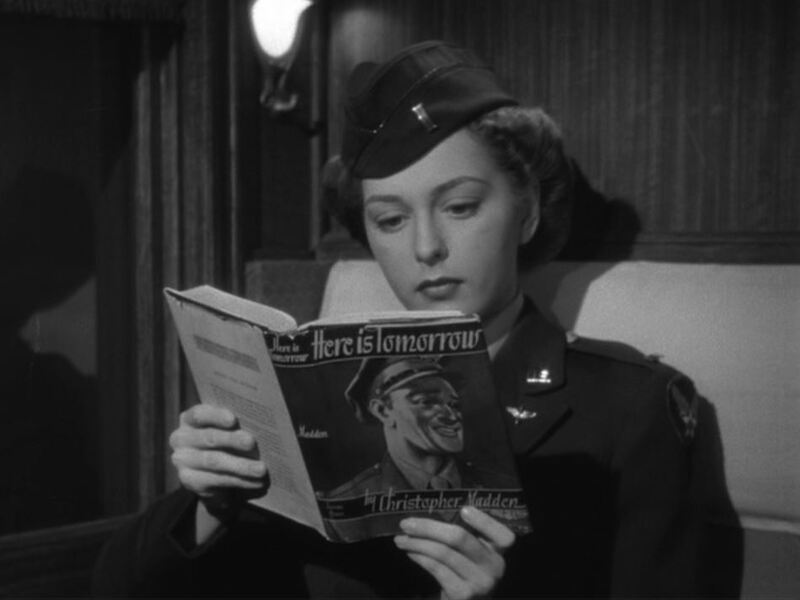 Kit introduces herself as “Kitty Klatch” so the two Marines don’t realize she’s the author of “Here is Tomorrow”. 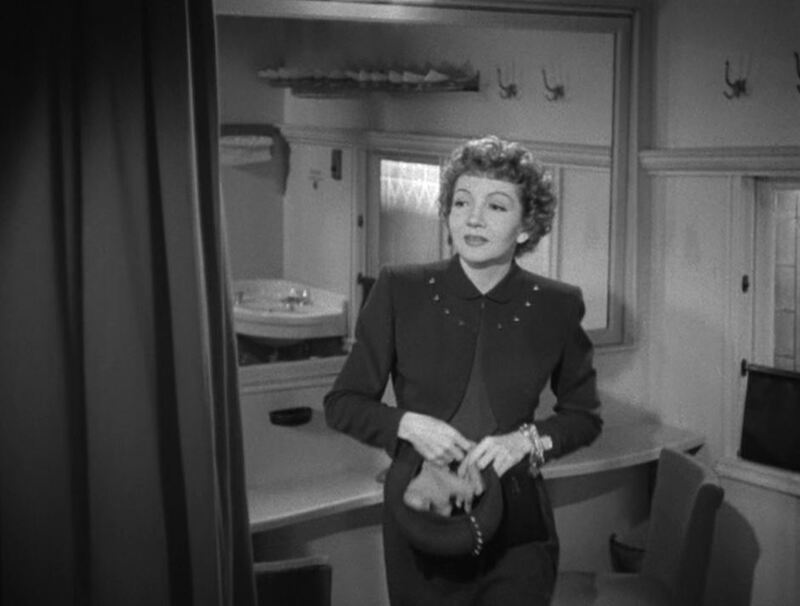 Good views of the ladies’ lounge (bathroom) and the club car on their train. 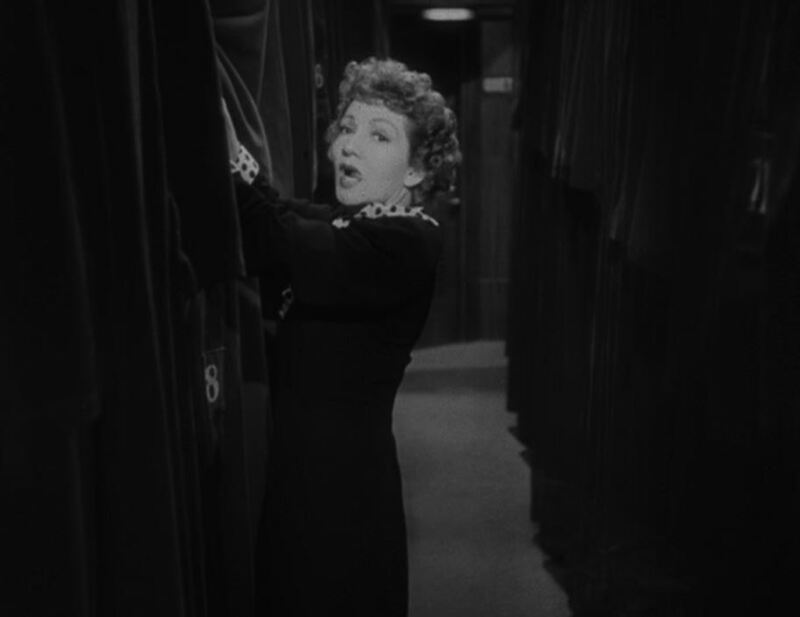 With the ladder missing, Kit recruits Rusty to solve the age-old problem of how to get into her upper berth. 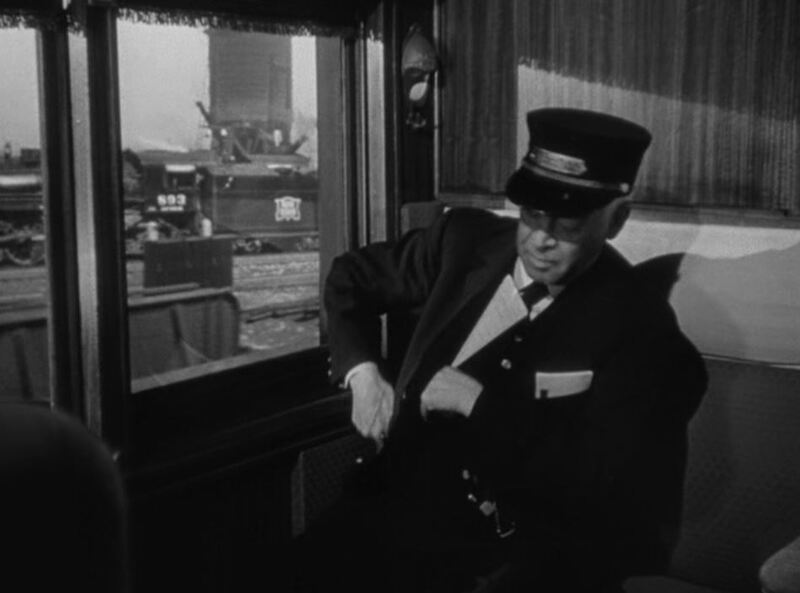 The next morning arriving into Chicago, we see some Rock Island steam power out the conductor’s window. 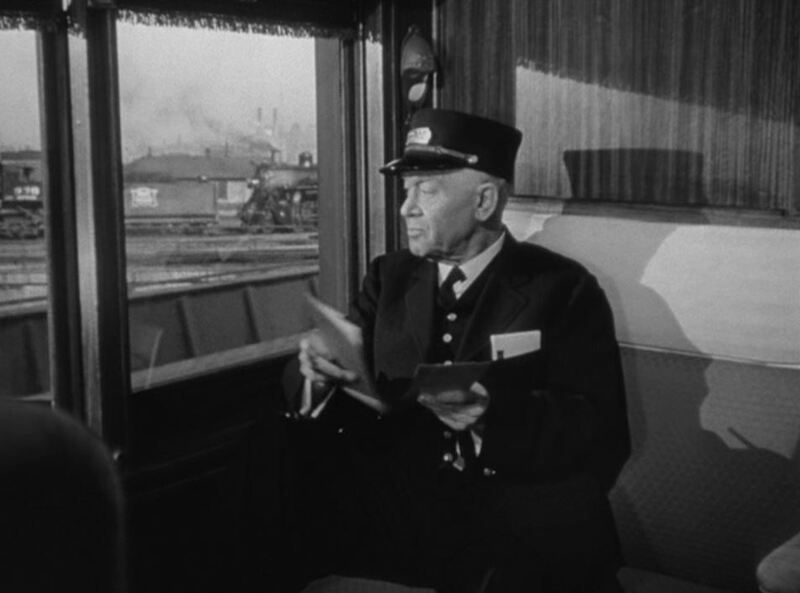 Both Rock Island and New York Central used LaSalle Street station in Chicago, so this view would be accurate. 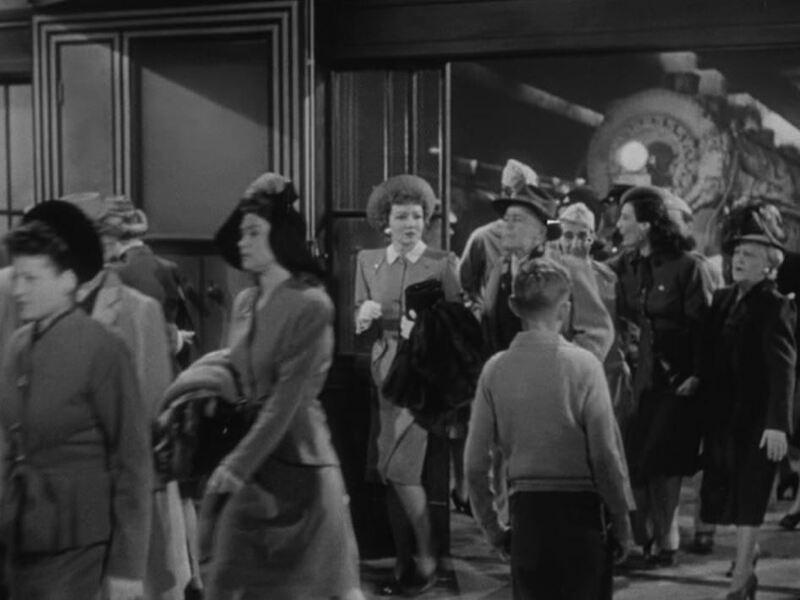 Kit enters LaSalle Street station with an NYC steam locomotive in the background. 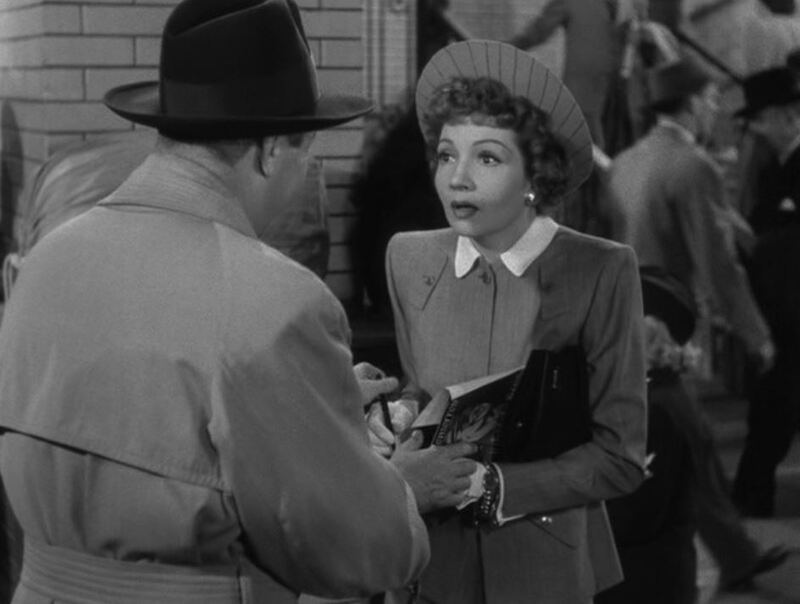 In a cameo, Jack Benny asks Kit (to her astonishment) to autograph his copy of “Here is Tomorrow”. 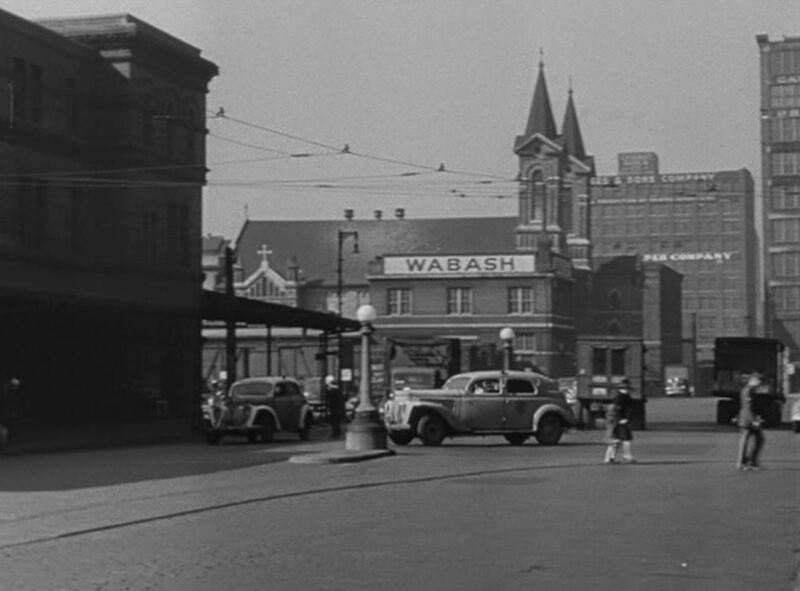 Kit, Rusty and Dink grab a cab which passes by Dearborn Station – note the large Wabash Railroad sign – Wabash was a tenet at Dearborn; Arriving trackside, the trio wistfully watch Santa Fe’s Chief leave for Los Angeles. 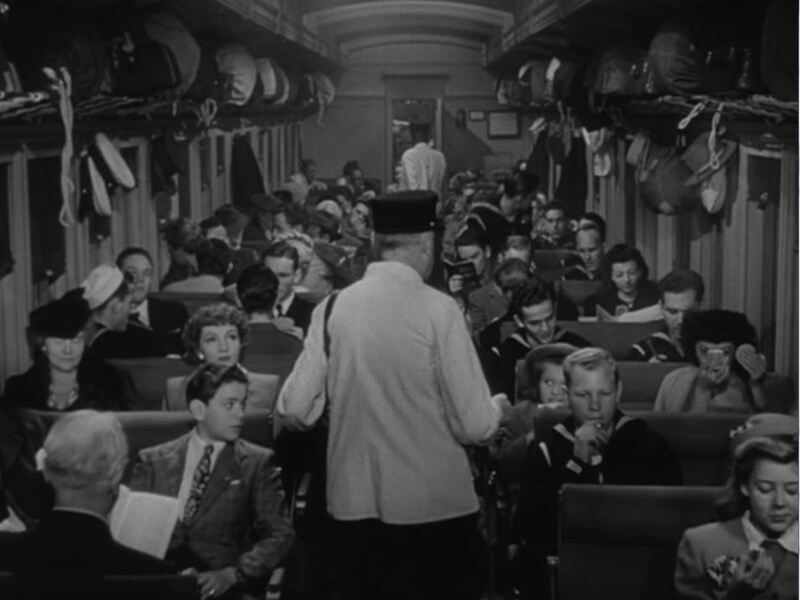 Soon, they are settled into their section heading westward on the Santa Fe Railway. 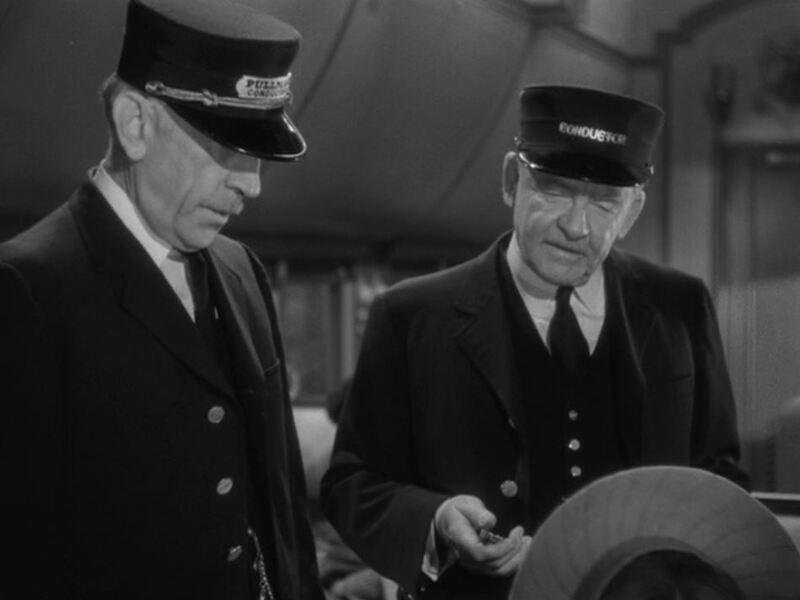 Inevitably the Pullman and Railroad conductors come around who give Kit quite the stern talking-to for not having a ticket AND consorting with “military men”! 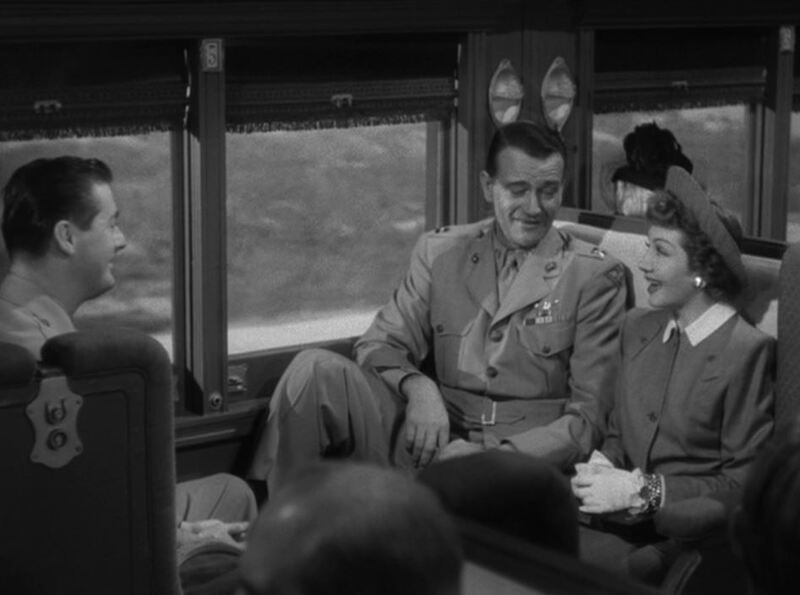 ; There’s no Pullman space available, so she is stuck back in the over-crowded coach by the conductors. Chivalry ain’t dead. Rusty and Dink send for Kit (via messenger) and gallantly share their table with her. 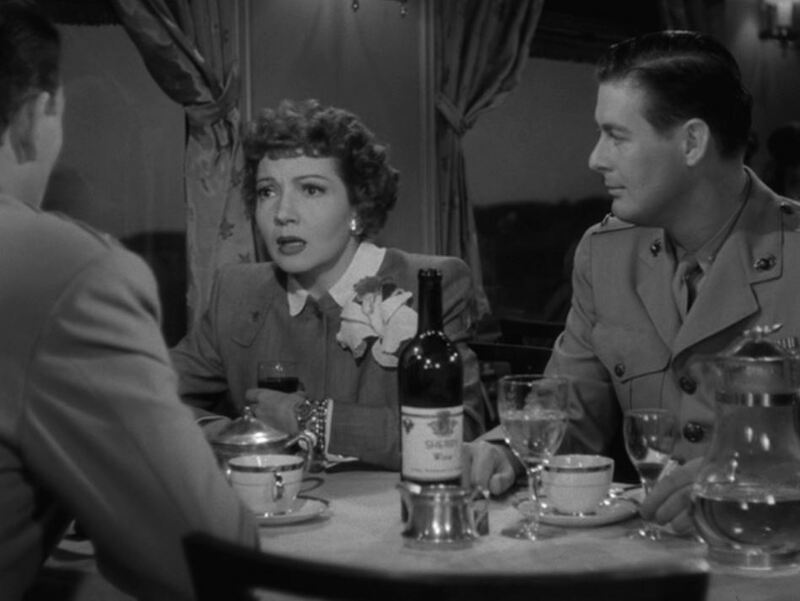 Note all that railroad china and glassware. 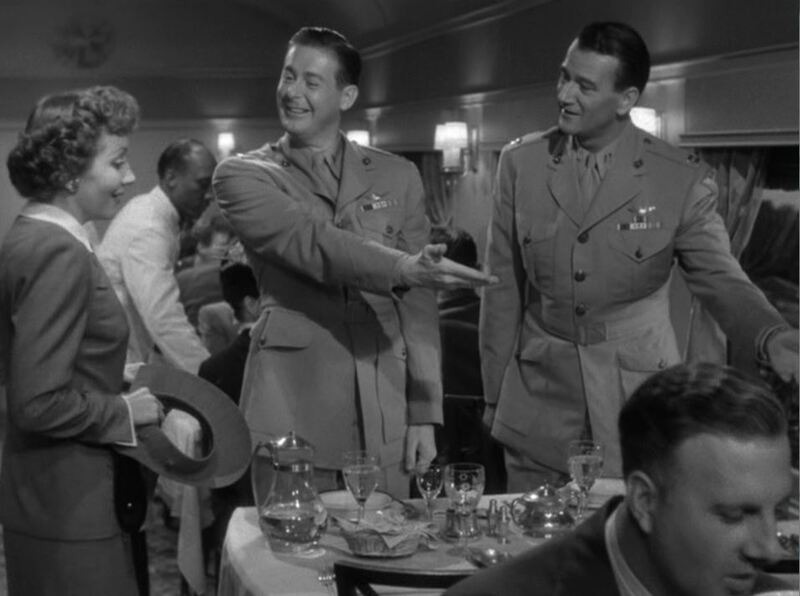 Much to her shock, Kit finds out Rusty thinks her book is “a lot of hooey”; Fortunately, they all get good and gassed from that big bottle of sherry on the table. Hijinks ensue. 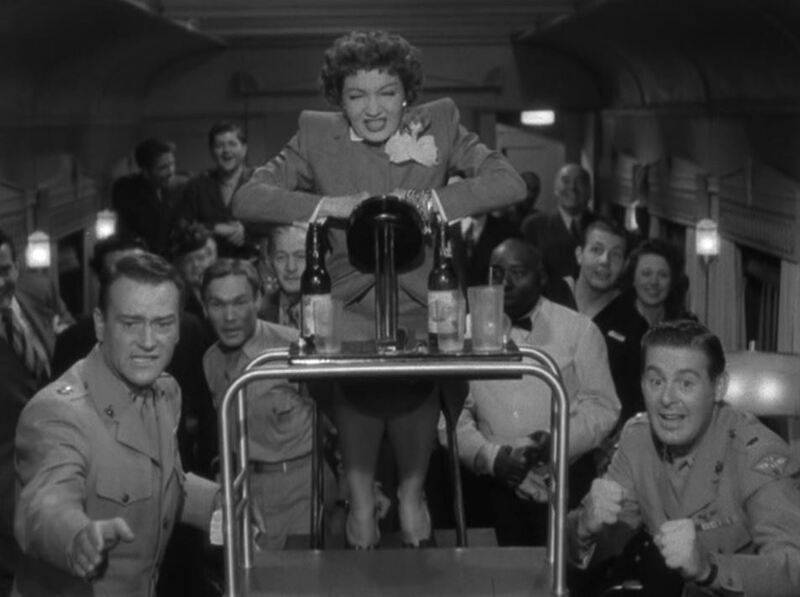 Rusty and Dink rig up a bomber cockpit for Kit to “fly”, much to the amusement of the club car patrons; Running through the section sleeper trying to lose the train conductors, hot on their trail. 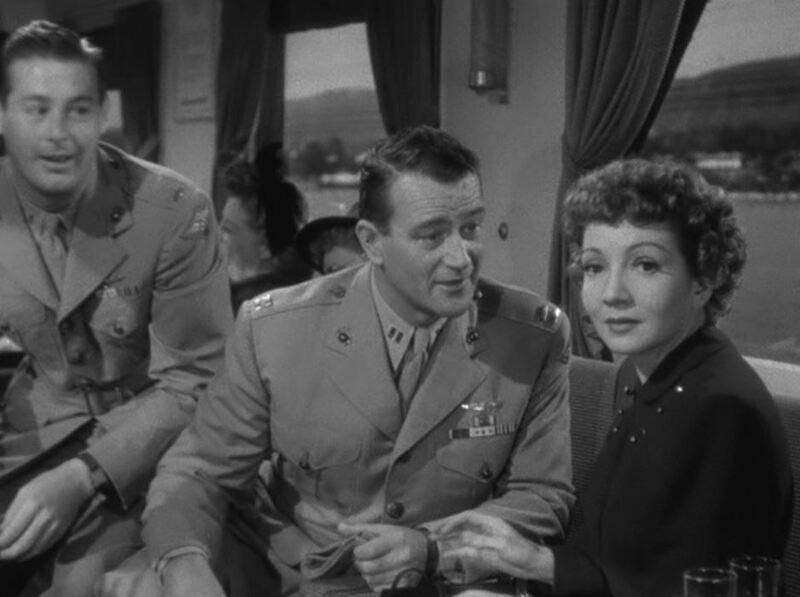 Eventually their drunken ribaldry is discovered and Kit is kicked off at the next stop. 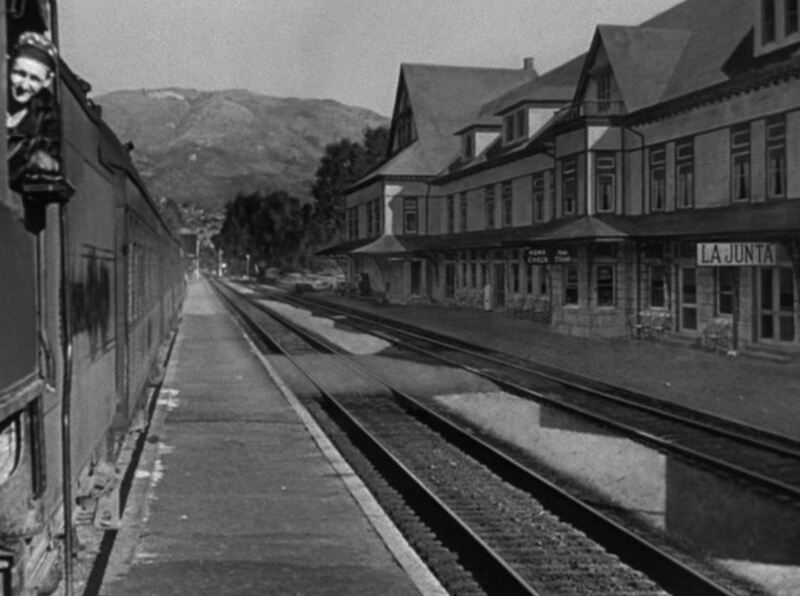 The next morning, the Sunrise Limited pulls into “La Junta, Colorado” (note blackened out “Southern Pacific” on tender of SP #2417, a P-1 class 4-6-2 and hastily added depot sign). Is this goodbye? 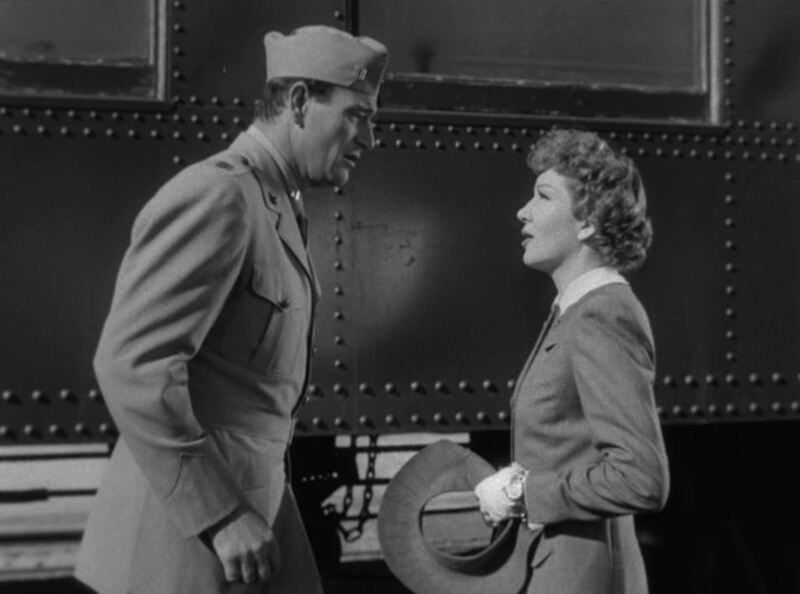 Kit and Rusty chat as the Sunrise Limited pulls out of the station; Dink also got off (with their luggage) and the trio make alternate plans to reach California. 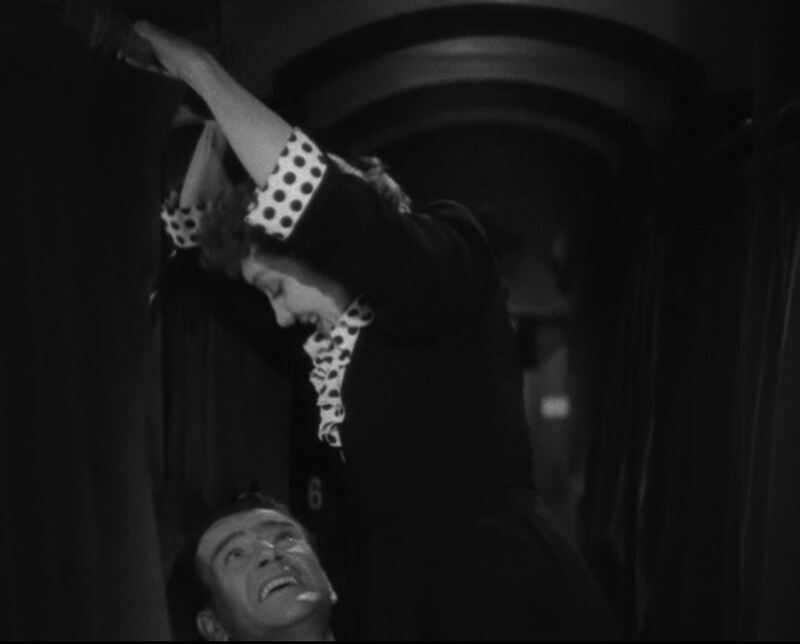 The remainder of the picture has absolutely no train scenes, so we’ll just cut the review short here. 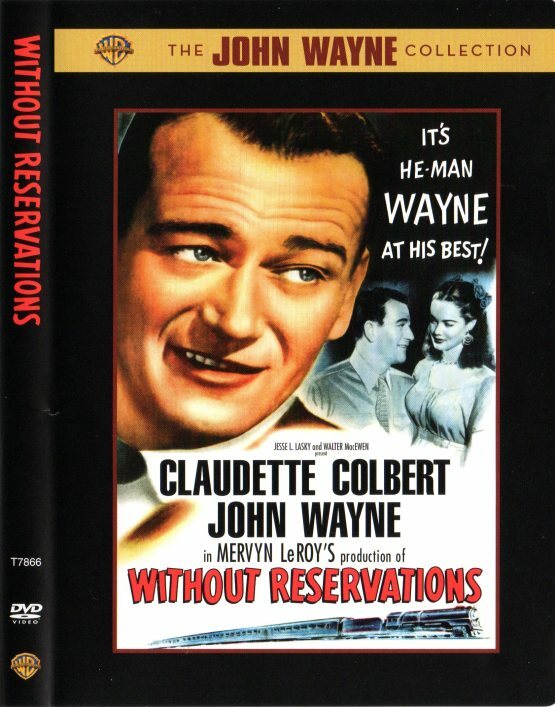 Not a bad movie all told and with a decent quota of railroad travel circa 1946. 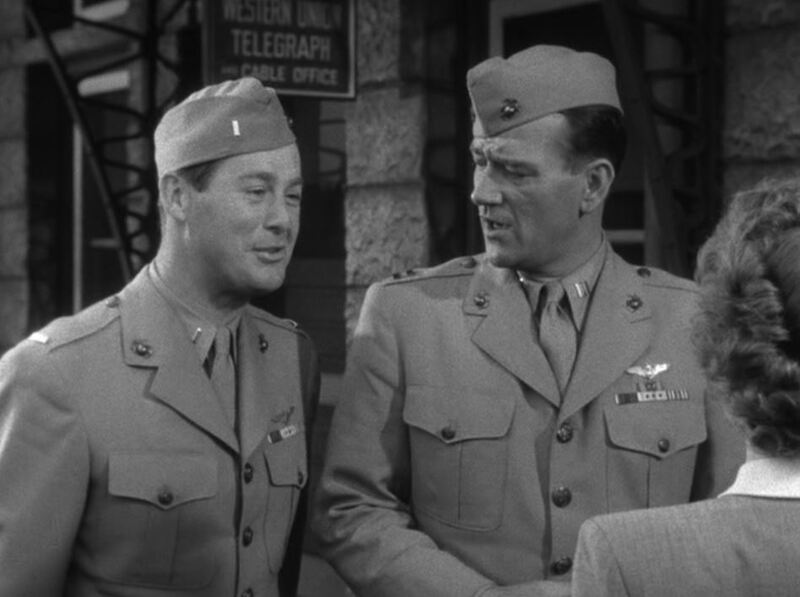 Plus it’s fun to see John Wayne take a stab at comedy. LIN-Z says check it out! 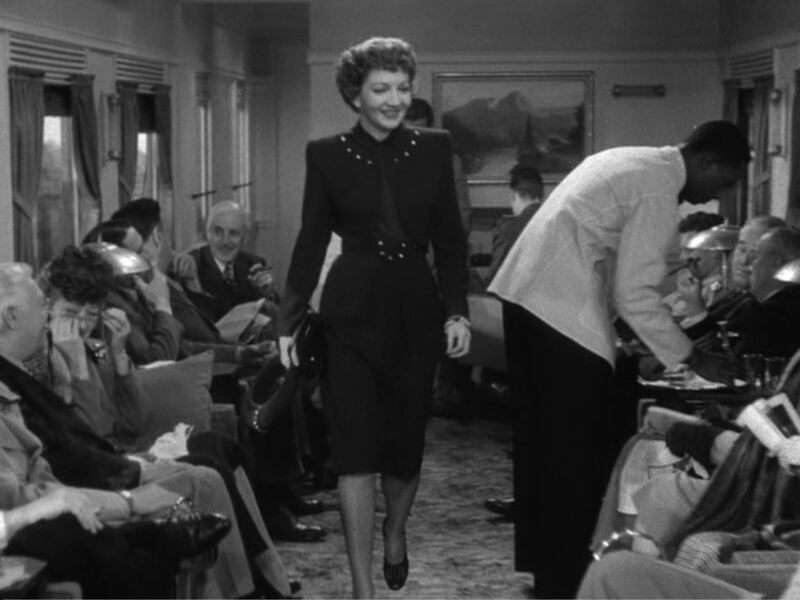 This entry was posted in Uncategorized and tagged Atchison Topeka and Santa Fe Railroad, Cary Grant, Claudette Colbert, Dearborn Street Station, Dining Car, Don DeFore, Grand Central Station, Jack Benny, John Wayne, LaSalle Street Station, New York Central Railroad, Pullman Sleeper, RKO Radio Pictures, Rock Island Railroad, Santa Fe Railway, Southern Pacific Railroad, U.S. Marines, Wabash Railroad, Without Reservations. Bookmark the permalink.